These innovative, all-inclusive rental Pop-Up Portable Dressing Rooms come in a kit for our clients’ complete convenience. 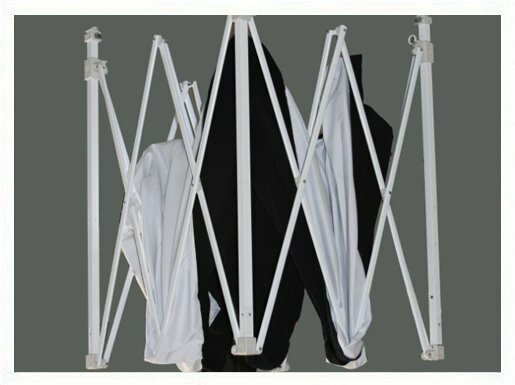 Consisting of the extremely easy to install pop up frame, Velcro walls, hanging mirror, light and light fixture/clip, and rolling case, this kit makes it possible to have a portable changing room or tech room anywhere you desire. They are super easy to put together and take apart without the use of any tools. 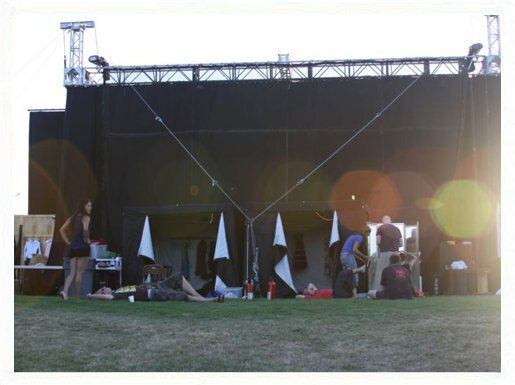 These instant temporary fitting room set-ups can be used for all sorts of special events, fashion shows, and concert tours, and are great both indoors and outdoors. And with the addition of a translucent white fabric wall, these can also be used as exciting “Shadowboxes” for special events, or as a special effect for part of the artist’s performance, too. 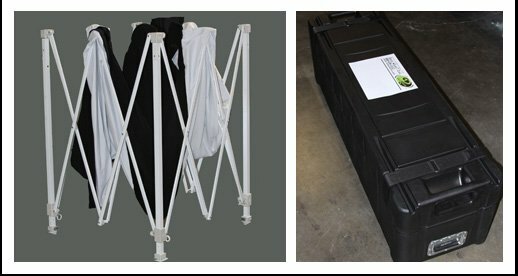 The mobile dressing room’s portability is readily evident, as it’s easily transported with its own compact wheeled case, and is sized to ship by most major shipping services including FedEx and UPS. These portable dressing room units are extremely versatile and are now being rented where additional privacy is desired in a quick, easy, safe, and portable fashion — where will YOU use one today? 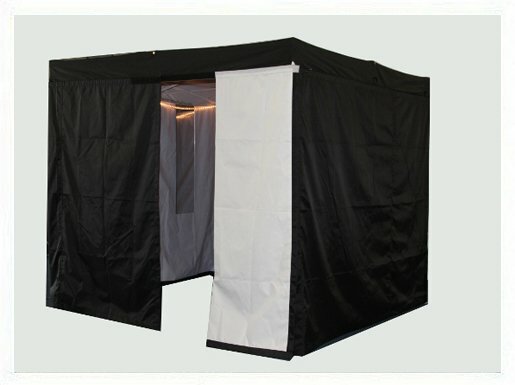 You are going to love the convenience of our portable pop up rooms. Use them to create tech spaces, or as dressing rooms. Gang them together to make a green room. 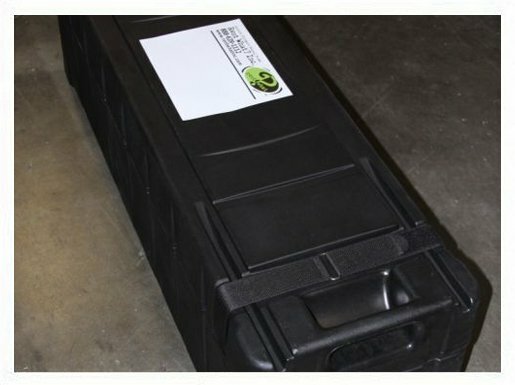 They are quick and easy to set up and travel conveniently in a roadworthy wheeled case. Usher, Trey Songz, Jonas Brothers, AR Rahman and Foreigner. 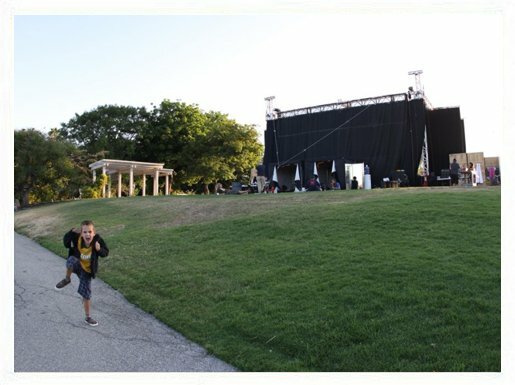 Tour managers know the challenges of finding adequate facilities for talent and crew while on the road, particularly in providing staging at outdoor or non-theatrical venues. Rent What? 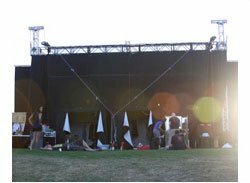 Inc., an entertainment rental house specializing in stage curtains rentals, pipe and drape systems and concert supplies, has created an innovative portable dressing room that solves multiple needs, simply and affordably. More about our Company’s Ultimate Rentals, Extreme Service.